Yesterday, I met my little from Big Brothers and Big Sisters for our monthly date. We’ve been together for 8 years and our favorite dates are mostly just catching up over food! She wanted something sweet and I’ve been on a green tea dessert kick. 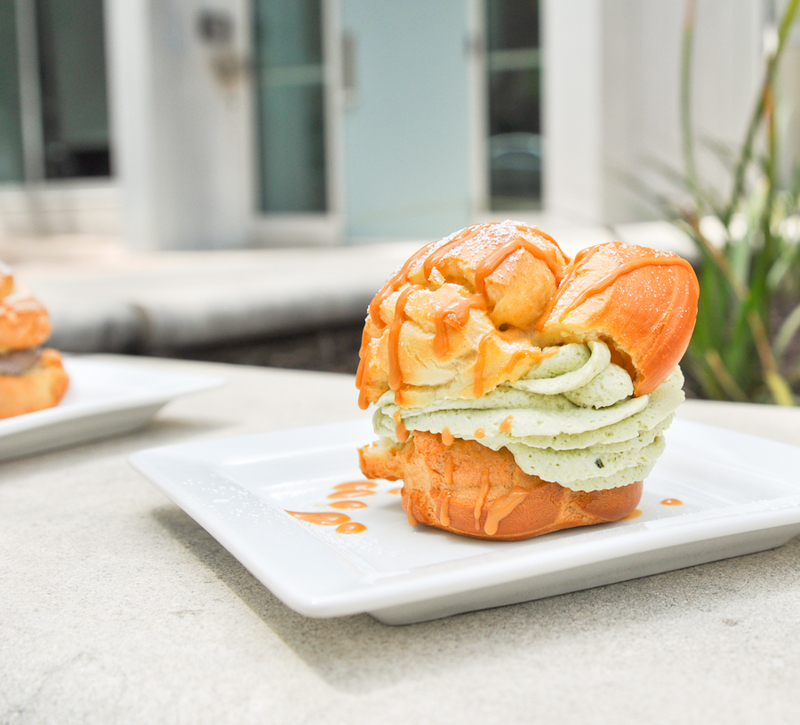 I suggested we try cream puffs from Cream Whiskers, mostly because I heard they had a matcha flavored cream puff. 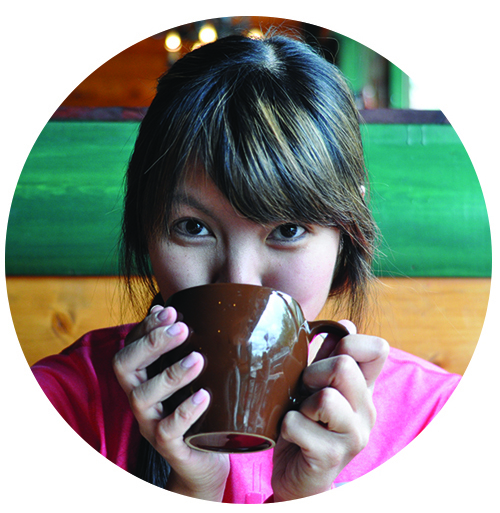 I think I’m on a new mission to find all the green tea desserts available in Austin. 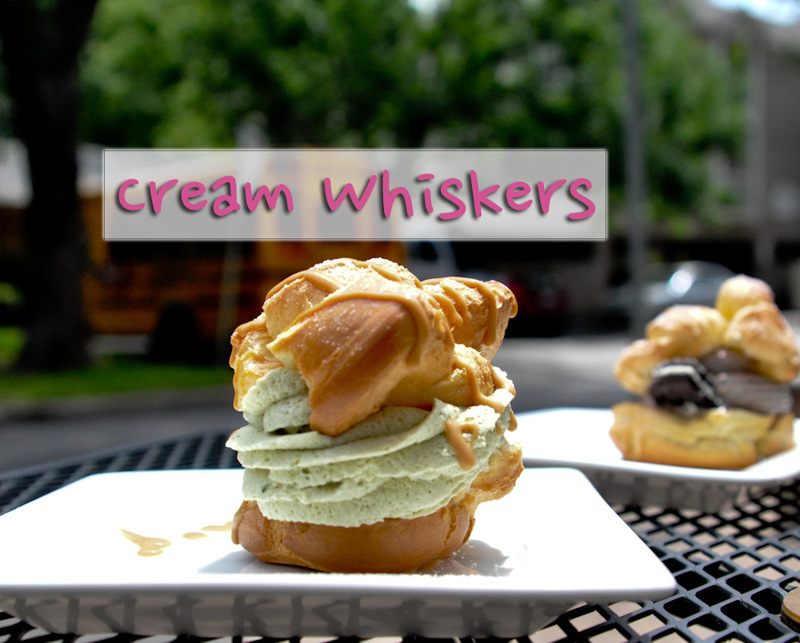 Located near the University of Texas campus, Cream Whiskers is a cozy nook serving cream puff desserts and teas and coffee. You can choose the traditional puff tops or a cookie top. We both opted for the traditional puffy tops. I went with their matcha option and my little ordered the Cookies & Cream. 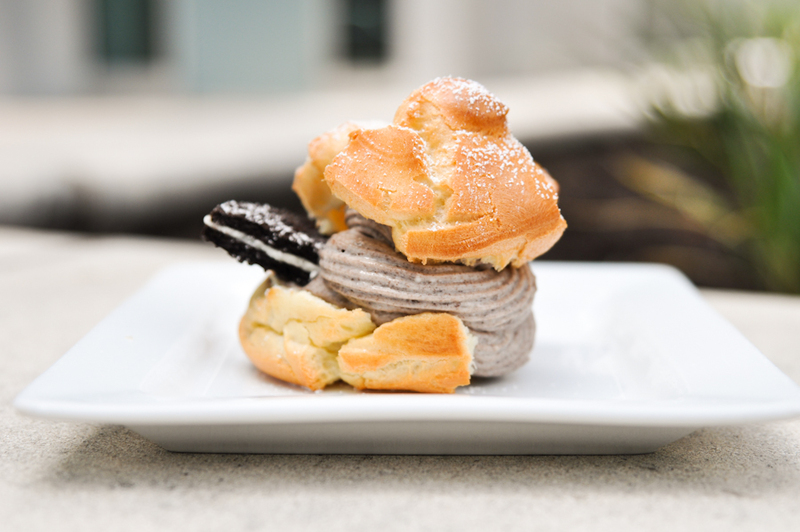 The puffs are made to order and whimsical! I felt like I was consuming dreamy clouds of sugar! 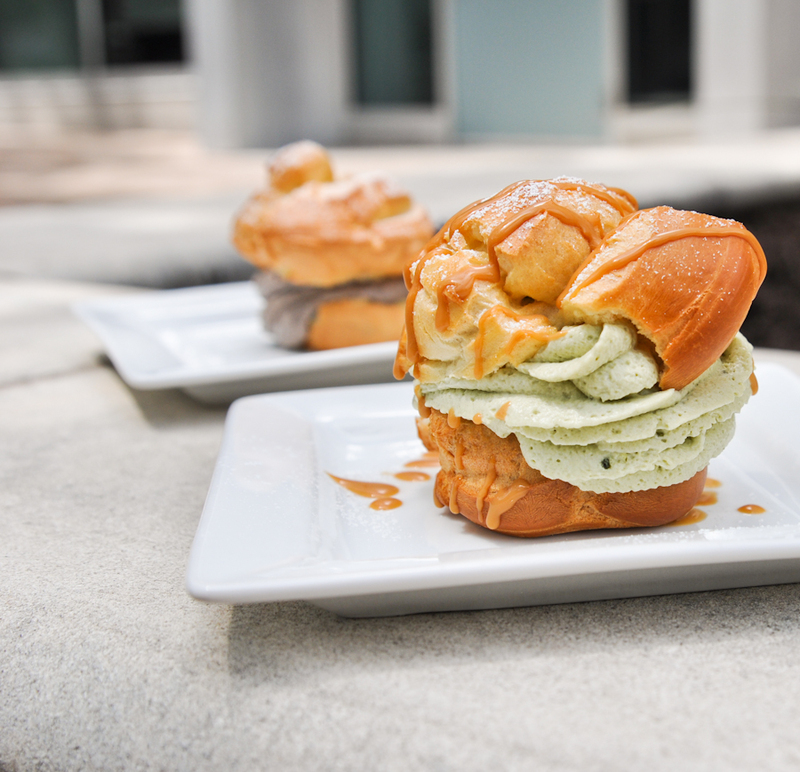 Question: How do you feel about matcha or green tea as a dessert flavor?